A friend's home has bed bugs. What do you do? Get in on the conversation so you can learn more. Decline any invitation to their home. Think, "Wow, their house must be really dirty!" Stop inviting them to your home. Call a pest control professional immediately to inspect your home. Not worry about it – you keep your home clean. Since more than half of those who answered responded that they would get in on the conversation because they would want to learn more about bedbugs, let's discuss bedbugs and what you need to know based on the possible responses. The cleanliness of a home is not relevant to bedbugs coming in. Bed bug infestations begin in homes when the bugs are carried in on a person's clothing or possessions from another place that was infested – such as a hotel, friend's home, workplace, or even movie theater or means of transportation (although these are less frequent). That said, piles of clothing or other unsanitary conditions can give the bugs more places to hide and breed once they come in, but, unlike other pests, such as flies, cockroaches, and rodents, bedbugs are not "attracted" by uncleanliness. While not inviting friends to your home doesn't seem to be a very hospitable answer, it is a very natural response and will certainly help to keep your home bed-bug free, at least from that infestation. You need not ban your friends from your home forever or disassociate with them completely, but you are wise to not be visiting until the infestation is completely eliminated from their home and possessions. Additionally, if they understand bed bugs and the way they spread, your friends should understand your reluctance, and not want to put your home at risk as well. 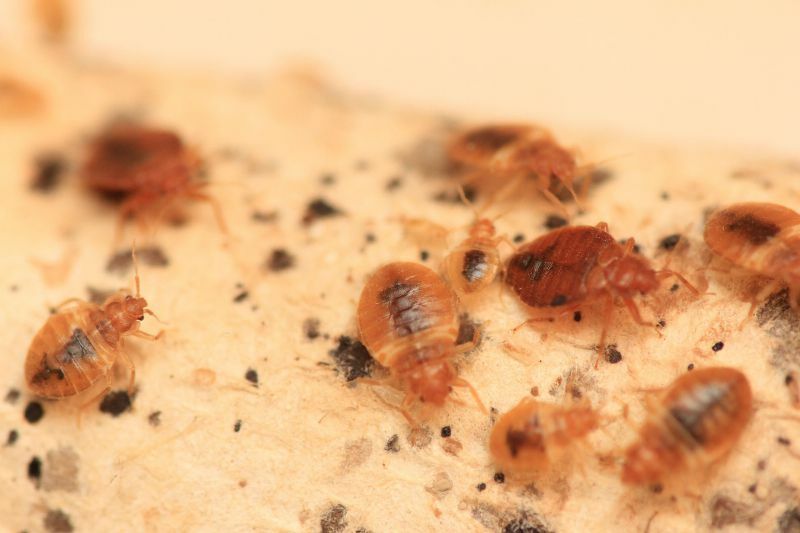 If you have invited friends to your home and find out soon after that they have a bed bug infestation in theirs, you should take precautions and inspect for any sign of bed bugs. The biting bugs can be in a home long before they are found, so the friends could have brought them into your home on their possessions without even realizing there was a problem.